Coats and boots are two items I feel it's really important to invest in. In the UK you're sure to get plenty of wear out of them! My main Christmas present this year was this beautiful coat from topshop. It's camel, double breasted and long- everything a girl could wish for. It's a beautiful change from black but just as versatile. And I feel like such a grown up in it! 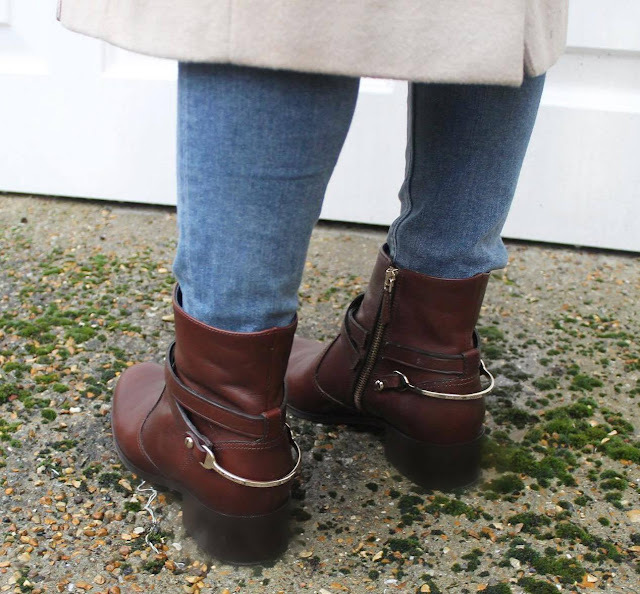 Obviously a camel coat needs some tan shoes to go with it though... This beautiful chestnut pair from LK Bennett are just ideal. They're made in Italy and are a wonderful leather, they have various dimensions of colour due to the fact they've been dyed with tannins from oak bark. To give them some edge they have gold hardware which just makes them perfect. These are pricer items but well worth investing in- I want these to last a long time so every winter I can pull them out and where them every year! 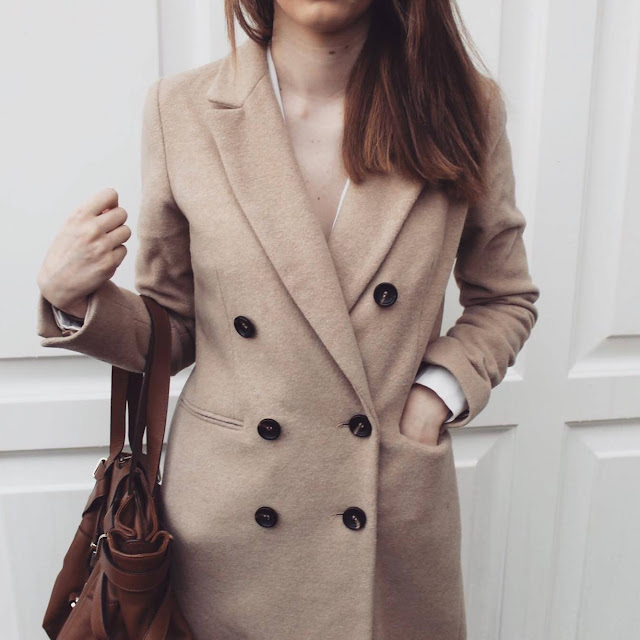 I absolutely LOVE this camel coat! I recently got a cheap one from Forever 21, but I agree that investing in a coat is something worthwhile (especially over here in NYC!). I reallyyyy like these boots! 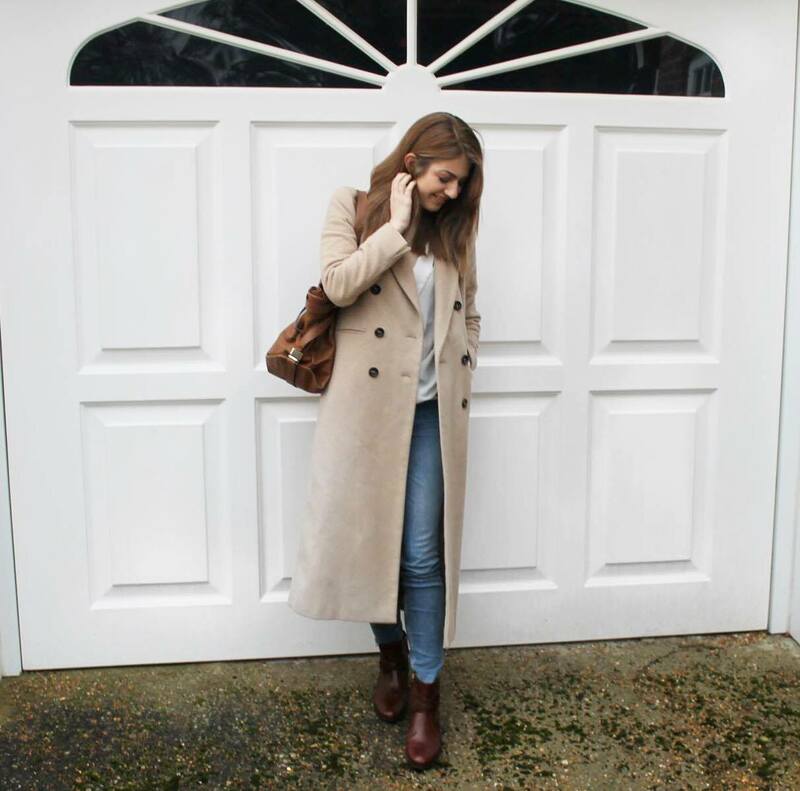 This sounds weird but New Look have some amazing camel coats at the moment for under £100. I'd never usually get a coat from there! Your boots are awesome!! Great look!